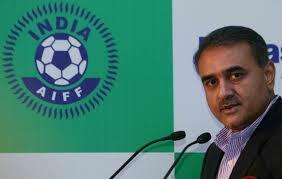 November 22- India will bid to host the 2019 Under-20 World Cup in the coming months as part of its endeavor to develop the game in the country, All India Football Federation president Praful Patel (pictured) said. In 2017 India will host the Under-17 World Cup, a first for the country. Over three weeks in October, 24 teams will compete at six venues in Kochi, Goa, Navi Mumbai, New Delhi, Guwahati, and Kolkata. Local football authorities consider the tournament as a platform to fulfill bigger ambitions in the game. Patel believes that hosting the 2017 Under-17 World Cup will go a long way to help India bid for the Under-20 event in three years time. “We have told the FIFA Competitions Committee that we are keen to host the event at the earliest available opportunity in 2019, and this will further give a boost to our grassroots initiatives,” said Patel. Patel indicated that India’s ultimate aim is to qualify for the World Cup. “We will aspire towards qualifying for the 2022 World Cup because of the support our national team is going to receive and will need to ensure that right steps are taken towards realizing this objective,” said Patel.